If you are looking for songs contact us thru the Web Site Thanks! I think I asked you this before long ago, but I forgot your answer. Were you using the name Five Roses Publishing back in the early to mid 80's? I am not, have never been, a Publisher. I don't know when Sammie became a Publisher. I first became aware of him when he had a listing in the 1994 Songwriter's Market and was living in New York and I sent him some songs. He signed the songs and wrote me he was moving to Brunswick as he had relatives here. We've been working together some over tha years trying to get our songs out there. Maybe someday. There is a history on the Web Site about Sammie. I can't seem to get the page links to work in IE -- but they seem to work fine in Foxfire. What browser are you using? I went to the music page (in foxfire) -- you need to have a player instead of making folks download the songs. A lot of folks won't download stuff. Good luck on your web, I think it is a good idea to have a web presence. I can't get the links to work and found out the Web Developer uses Foxfire so I may have to change browsers. I am using Internet Explorer. I tried Google Chrome but couldn't access the Links either but then couldn't open my E-Mails. SO, I will have to do some experenting. I do have a Chrome Link on my Desktop thet allows me to get into the pages on the site. I believe the songs played almost instantly whae I played one. Ain't Computers wonderful!! Kevin. The songs start playing in a couple of seconds for me. So I suspect it is your operating system that may make you wait for a download. Can you have more than one browser on your computer? I don't know. Last edited by Ray E. Strode; 01/31/13 12:35 AM. The web developer has to get the site working with ALL the current modern browsers -- that's just the job of the web developer. He just needs to fix the "relative" links to the other pages. It is a simple fix. You can have as many browsers as you want. I have IE and Foxfire -- I thought I had Chrome too, but I don't see it now. The web design is very "old-fashioned", but if it works it is OK. My stuff is sort of dated too so I understand (ha, ha). In any case, put the pressure on the developer to test on a few other browsers also (don't forget about the mac's Safari, either). I went thru you know what this morning 31 Jan 2013 getting this thing working. I talked to the guy wo did the Web Site. Now it works for me. I am still using IE 8 after trying Mozella FireFox So if you get a chance see if it will work for you using IE. Also the songs will start almost instantly if you have Broadband Internet. Who said anything was easy! Seems to be working in IE 9 now just fine. The song starts playing in quicktime in IE, but you still should get a "player". Just a better approach. Less security decisions/issues for the end user. Good luck with it! Since we are now in August 3013 and maybe those seeking songs for this fall I will bump this link. Keep writing everybody. Everett has had some luck so you may too. Time for a Bump. Write a hit! It works fine on our version of Internet Explorer. Best of luck with the site and your music. Just a self indulgent question. What is thought by the members of free domain sites? I was at one that would not allow me to keep off the footer containing my address and phone number. And I would not publish on it. Sometimes I think the best web sites and public sharing are these sites for music sharing like soundclick. All one has to do is sign up as a listener at these music sites. Facebook was already here before facebook. My Publisher friend and I wanted a place where we could send those who were looking for songs, Artists, Producers, etc. He found a local Computer Expert that set up the Web Site for us. I simply put the songs for the Web Site on a Disc and also the Lyrics on a Disc. As you can see, the site is pretty basic and works well. Some sites I see are pretty cluttered. On this site you can print out the lyrics if desired by placing your Mouse over a set of lyrics you have opened. You will see a print command. Any way you can get your songs out there is OK. Neither I or my Publisher friend is adept at setting up a Web Site. But in most places you can find someone to set up a Site for you. Good luck. Will bump this for newer members that want to listen to some of our songs. Thanks RES. By clicking on the link at the top you can also see the link to the lyrics and print them out by placing your mouse over a lyric when you open it. Thanks. Bought a windows 7 Computer a couple of years ago. I needed a new place to put my pictures as my old printer was putting a vertical streak up the right side. Couldn't figure out what was causing it. i also bought a new Top rate printer to go with it. I didn't want Windows 8 because of no mouse. I hear Windows 10 can be set up to use a mouse again. I transfer pictures via a CD copying to the CD and then installing the file to the new computer. In my old computer I can select the prints I want to transfer. So far I can't find a new Program for the new computer. You win a few and you lose a few. Have fun with that new computer! I'm using a mouse with Windows 10. I would advise you to stay with Windows 7 as long as the sorry b%^$#@'s at Microsoft will let you. If I understand you correctly, you are wanting to transfer photos from the computer to a CD. No problem doing just that in either Windows 7 or 10. As a suggestion, it is twice a fast and much easier to use a USB Stick with several gigabytes of memory available 'cause photos take up so much memory... much more than MP3 Music files. If it is the procedure of how to accomplish this giving you trouble, do a google (or other search engine) lookup and find a step-by-step set of instructions for transferring photos. I do my best to convert all photos to JPEG Format. BMP is Microsoft's preferred format but they are much more problematic. Last edited by Dave Rice; 09/23/16 09:25 PM. I enjoyed listening to songs on your website. Also, the musicianship provides a very authentic country music sound! or get it cut! Keep writing. was cut by Little Jimmy Dickens. Last edited by Ray E. Strode; 03/01/17 11:53 AM. Hey that's great to hear about the song cut! I have written some Christian Pop songs. 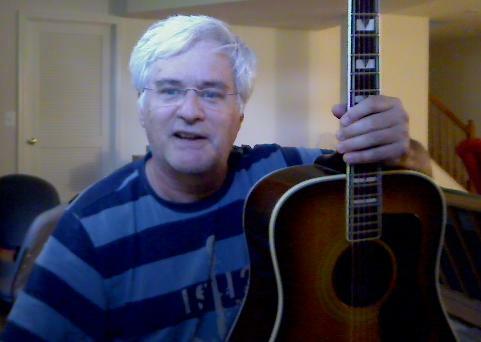 I have a couple demos in that genre on my website if you want to hear them. Ray - I wanted to also say that writing a good (good being subjective) song can be really hard to do. However sometimes a song will just seem to flow easily, without having to work it when writing it. I have had ideas flowing faster then I could keep up with! Like when I have to quickly get the pen and paper to jot down that idea, sometimes I get to writing it down and go "what was that perfect line I just had?" I forgot it before I could get it written down! posted on the Web Site. Another song I had an idea for is NUMBER ON THAT TRUCK. Also posted on the Web Site. you can put your ideas in so you can review them from time to time. Last edited by Cheyenne; 04/08/19 04:19 AM.